Professional and college reporters training collaboratively for the future of Bay Area journalism. Bay News Rising is a project of the Pacific Media Workers Guild made possible by the labor and contributions of its members. 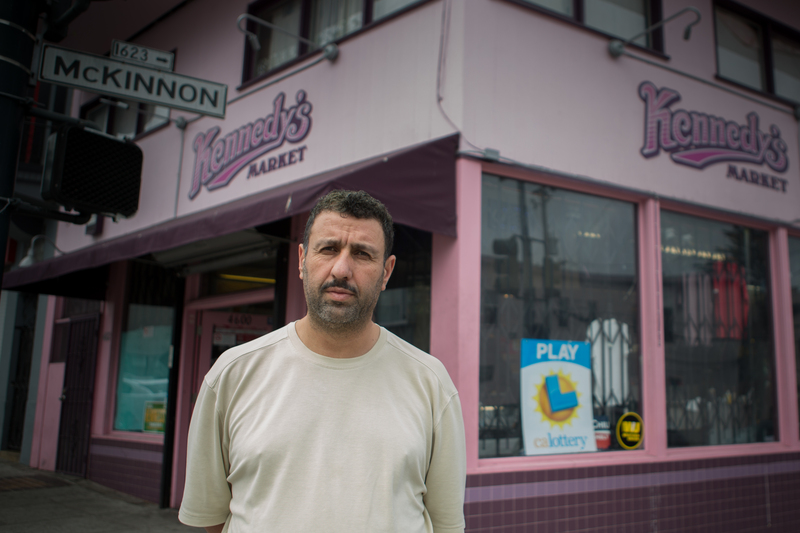 Dawud Dirbas, 44, has worked at Kennedy’s Market on the corner of McKinnon Avenue and Third Street in San Francisco’s Bayview district for 25 years. To say he’s seen the neighborhood change is an understatement; he saw his brother cheat death when gunned down nearby. A look at the changing business and housing picture in the Bayview would suggest gentrification is steadily moving along the main artery of what many call San Francisco’s last working-class neighborhood. The Bayview may be safer, but residents are discovering that change, even change for the better, can be frightening. It has been both a curse and a blessing for Dirbas and the market. He has seen a decrease in crimes in front of his store — but at the cost of losing what he estimates as 30 to 40 percent of his business. According to Dirbas, those who can afford to are purchasing property at below-market rates while impoverished residents lose their homes. The area now hosts residents who buy groceries at Bi-Rite and the Rainbow Grocery — a trip that would entail too long a bus ride and unaffordable prices for many longtime residents. Since the 2013 closure of the Fresh & Easy Market on Third Street, many low-income Bayview-Hunters Point residents lost access to fresh foodstuffs near their homes. These residents shop where the price is right: local convenience stores or mom-and-pop corner markets. 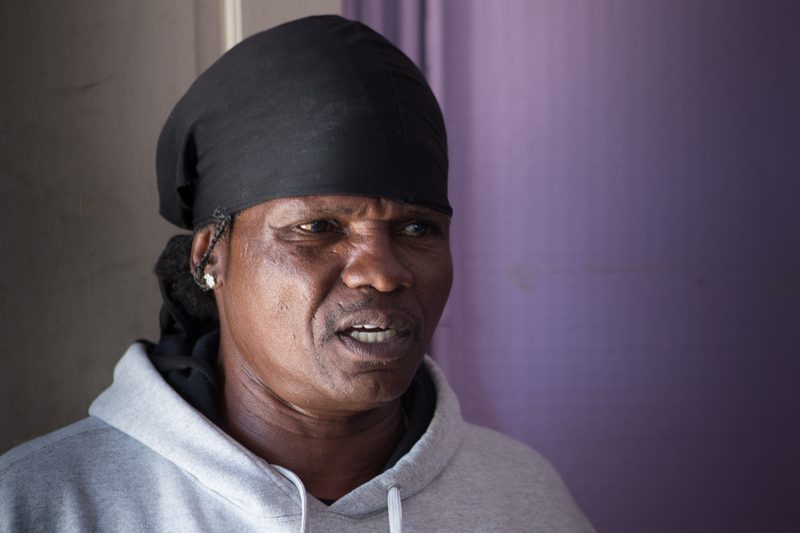 The majority of Dirbas’ customers live in Section 8 housing or work at low-paying jobs and are now being chased from San Francisco to more affordable cities like Pittsburg or Antioch. He has watched his customer base dwindle over the past decade. Newcomer Jacob Chang, 23, has just relocated from Jack London Square in Oakland to work at TechValidate, a San Francisco tech startup. He lives in a Bayview home with four roommates where he enjoys the quiet, laid-back style of the Bayview. Chang shops at the local G Mazzei & Sons’ Hardware store but leaves the neighborhood for organic produce. Since the closure of the San Francisco Naval Shipyard in the 1990s, the scarcity of factory and construction jobs in this historically blue-collar neighborhood has made it difficult for many Bayview residents. Paying the rent or keeping their homes has become so much of a struggle that many have given up and are moving out. Currently there are 71 homes on the market in the Bayview, according to Zillow.com, more than half of which are foreclosures. 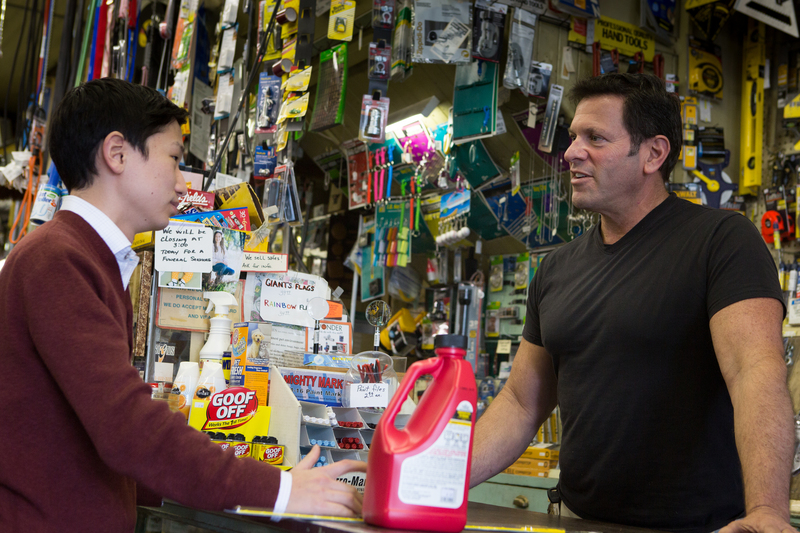 Morenzo, 56, has lived in the neighborhood since 1985, and runs the counter of G Mazzei & Sons’ Hardware, a local fixture that has remained on Third Street since the 1930s. Unlike the local markets and convenience stores, his shop has enjoyed growth and a new clientele from the changing community. Morenzo appreciates the diversity that newcomers have brought to the neighborhood. “A lot more of the gay community is coming out this way, a lot of techies, a little bit of everything,” he said. There are also new businesses popping up in the Bayview that are finding success. Colin McDonald, 42, is the owner of Bayview Cyclery, which opened in February 2015. In his newly expanded storefront he previously shared with a flower shop. McDonald tunes up bikes, repairs them and offers a range of bike parts and accessories to his customers. Although he believes the Bayview’s tough, hardscrabble image was exaggerated, he recognizes gentrification is reshaping the community. “The Bayview people know is changing,” McDonald said. For one thing, it’s becoming an increasingly popular destination for San Francisco cyclists. Riders can be seen pedaling up and down the sunny streets of Bike Route 5 along Third Street. Many of the riders are local residents that drop by Bayview Cyclery for a tune up. “A good part of the clientele is African-American,” said McDonald. Aboriginal Blackman United (ABU) James Richards Job Learning Center connects Bayview residents with work opportunities. Located across the street from the Bayview Opera House on Oakdale Avenue, the center is open to all serious applicants regardless of ethnicity or sexual identity. Every day, unemployed labor workers return to the center to write their names on an employment list that is used to match the worker’s skills to available jobs in the community. Nothing is guaranteed. Alston, 41, lives in Potrero Terrace, a city housing project. He is an optimistic, though unemployed, member of Laborers Local 261 and has been looking for a blue-collar job through ABU for about a month. He shows up every day and signs his name on the ABU employment list, hoping for a job opening. Some laborers, like Douglas Turner, have been hired multiple times through ABU. Turner, 57, has been a California resident since 1969. He has a 14-year-old son and now receives disability for an injury he sustained at the San Francisco Naval Shipyard. Turner’s monthly check can’t cover rent and food for his family in the Bayview for much longer. His remaining option is public housing; however, he is so far down on the waiting list it is an unlikely solution. Hardship is a common theme for residents barely scraping by in this neighborhood, but many remain resilient. It is not the most auspicious time for labor in the Bayview, but individuals like Turner see something positive behind the gentrification. “The community is better than it used to be because it is diverse now,” and that may expand opportunities, Turner said. This entry was posted on August 13, 2015 by Bay News Rising and tagged a city housing project, Aboriginal Blackman United (ABU), ABU, Alex Lamp, Bay News Rising, Bayview, Bayview Cyclery, below-market rate, business, G Mazzei & Sons' Hardware, gentrification, housing, Laborers Local 261, neighborhood, Pacific Media Workers Guild, Potrero Terrace, property, residents, San Francisco, San Francisco Naval Shipyard, Section 8, Section Eight housing, Third Street.